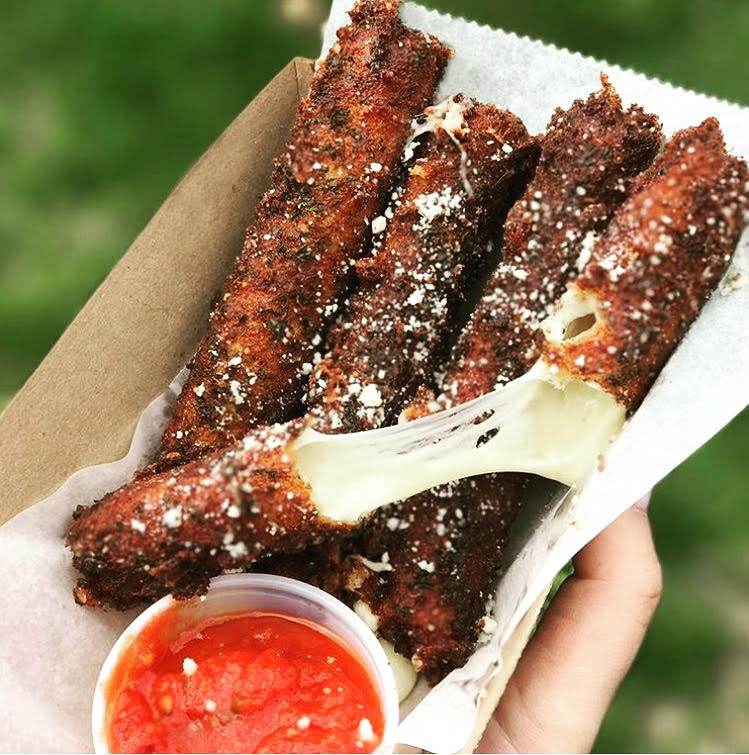 Big Mozz Sticks and our new Fried Cookie DŌ are a perfect pairing for any occasion, from weddings, to corporate gatherings, to sophisticated lawn parties. We can dress up or presentation, or bring our Smorgasburg-style storefront to your event, or dial it back to a simple stationary indoor setup. For catering inquiries, please fill out our contact form or email catering@bigmozz.com. Mozz Sticks and Cookie DŌ can be dressed up for fancier parties too. From custom plating and unique visual presentations, we will work with you on crafting a level of service that will elevate your event. We're a wedding and Mitzvah mainstay. Mozz Sticks are always awesome: little cheesy, a little sophisticated, and totally delicious. Perfect for parties of any size. Cookie DŌ is sweet, chewy, gooey goodness, and we can work it in to your event as its own station, or as part of your dessert presentation. The classic Smorgasburg stand - our hand built, reclaimed wood storefront. It adds permanence and a very Brooklyn touch to events. Custom setups for any party, including formal events.